At The Law Offices of Molsby & Bordner, LLP, our team practices in an aggressive, yet reasonable, manner. We take this approach because it benefits you, the client, by offering the skills you need at your fingertips, whether it is a transaction, negotiation, or litigation matter in California or Nevada. We are more than prepared for every possible development. When drafting legal documents, our firm uses clear and precise language to prevent disputes stemming from a misunderstanding because of ambiguity. When we work to resolve a dispute, we give the other party the opportunity to be reasonable. If they choose not to take that opportunity, we have a deep bench of experienced litigators who always are ready to step in and add their skills to your case. Unlike most law firms, our transaction and litigation departments work closely together, resulting in the best representation possible for you. 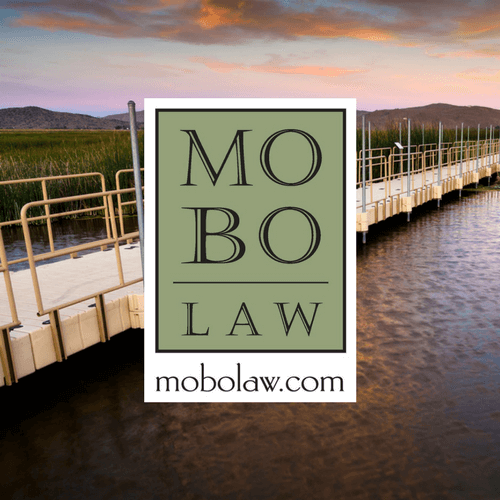 With offices in Truckee, Sacramento, South Lake Tahoe, and Reno, The Law Offices of Molsby & Bordner, LLP, is a client-focused, new-school law firm with a team working collaboratively toward success in your case. Business Law — Starting or selling a business, need an LLC or help to resolve a dispute? Our firm offers the legal guidance necessary in business matters to prevent problems down the road. Construction Law — Clients appreciate the ability of our litigators to step in should they be needed when working on resolutions to matters involving contracts, construction defects, and disputes. Estate Planning — The caring nature of our lawyers puts you at ease when making a plan for your assets after your death. Family Law — We have both a Certified Family Law Specialist, certified by the State Bar of California Board of Legal Specialization, as well as a certified mediator on staff to resolve your divorce, legal separation, child custody and visitation, property, and attorney's fees issues whether in a mediated or litigated setting. We offer expertise in divorce and visitation and support matters, which saves you time and money. Intellectual Property — Protect your intellectual property rights with our help in trademarks, copyrights and contracts. Real Estate Law — We will help you reach your goal in property matters. Bankruptcy — We represent both individuals in Chapter 7 filings and creditors in both Chapter 7 and Chapter 13 bankruptcies. Litigation — Molsby & Bordner, LLP, attorneys are adept at litigation, when called for, in all of these areas, including personal injury, property disputes, insurance and foreclosure defense. Our attorneys work together as a team to take a modern and collaborative approach to your case. Our lawyers will work together as a team to offer the legal guidance you need in a way that's easy to understand. You can trust our team's recommendations and know that they are the result of multiple perspectives. Contact us to set up an initial consultation with an attorney in Truckee, Sacramento, South Lake Tahoe, or Reno. We can be reached at 530-214-0385. Or send us an email.